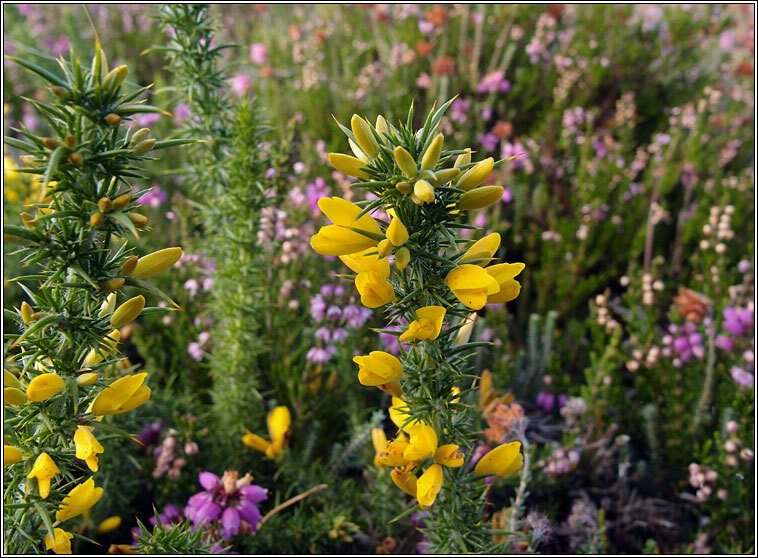 Habitat: Acidic heathland in South and SE England. 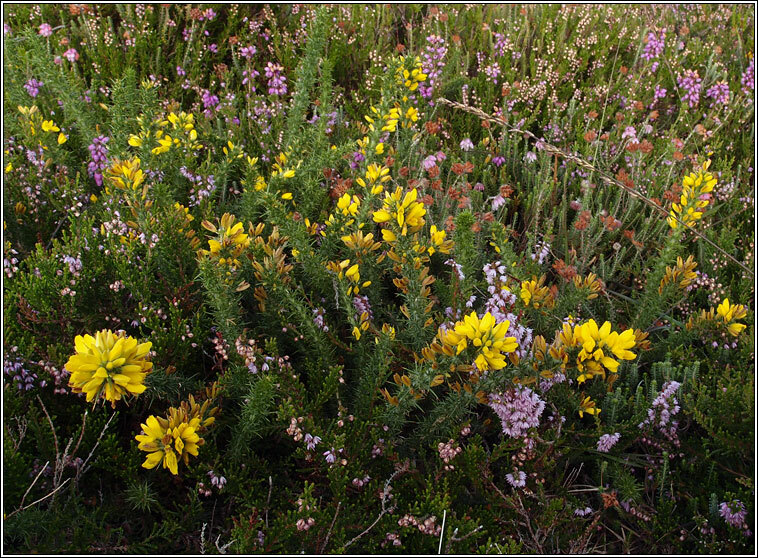 Range overlaps slightly with that of Western Gorse. Low growing, sometimes +/- prostrate but can grow to 1m. 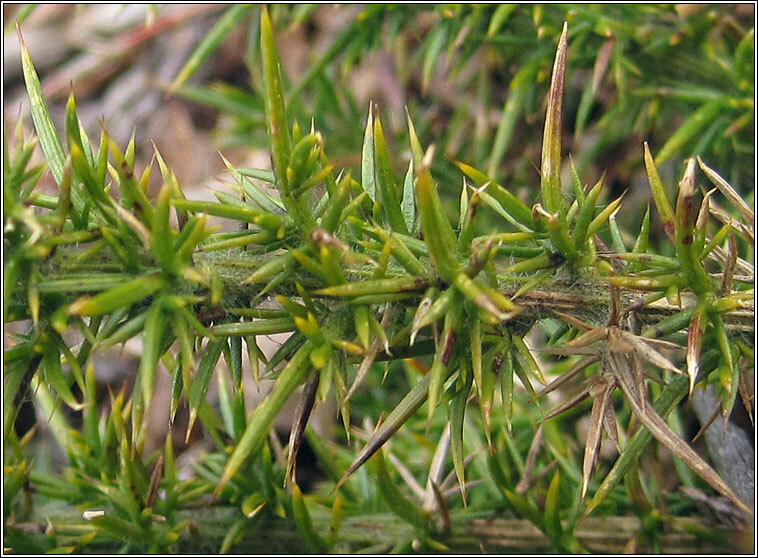 Branches are slightly furrowed with a denser covering of short spines than those of Western Gorse, U. gallii. 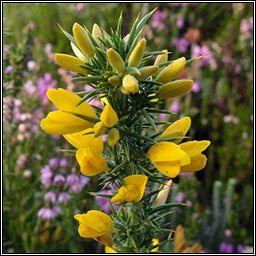 Usually much shorter than Gorse, Ulex europaeus. All images used are copyright. Please contact me if you find errors.